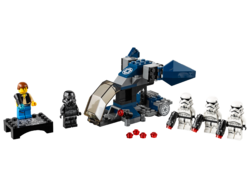 75262 Imperial Dropship - 20th Anniversary Edition is a Star Wars set released in 2019. 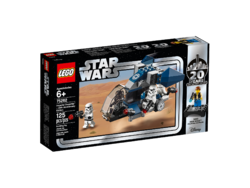 Own a 20th anniversary LEGO® Star Wars™ Imperial Dropship with Stormtroopers and a Shadow Trooper! Facts about "75262 Imperial Dropship - 20th Anniversary Edition"
This page was last edited on 4 April 2019, at 08:49.